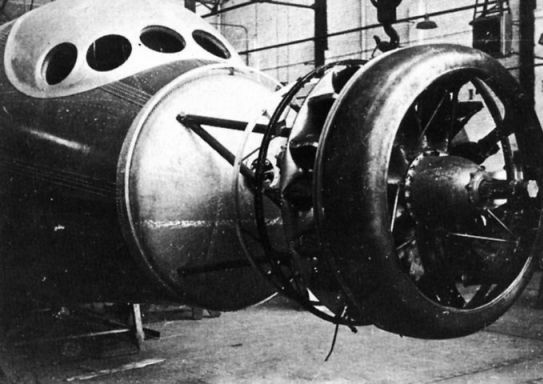 A close-up of the installation of the Gnome-Rhone 9K engine in the nose of the Renard R-35, also showing the front of the pressure cell and the row of circular windows in the cockpit. The three-view drawing above depicts the Renard R-35 as flown. An additional side view shows the projected R-35B bomber, which had a retractable ventral turret and fairing. 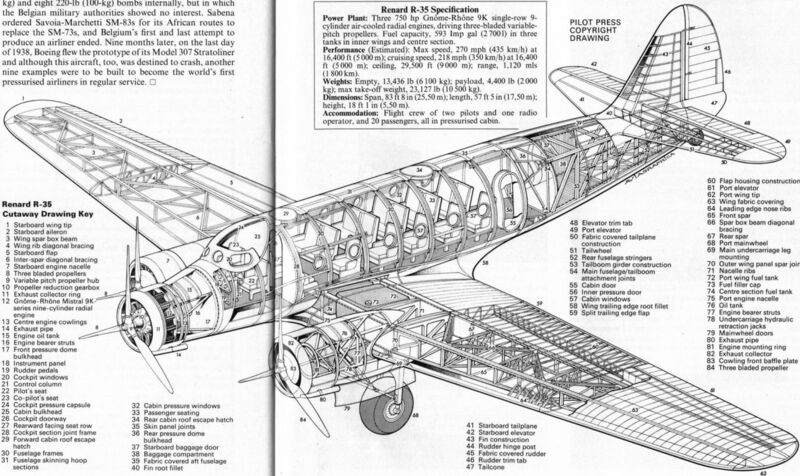 Bombs were to be stowed vertically in the fuselage as shown, in a total of 16 individual tubes: each transverse row indicated in the drawing comprised stowage for two 220-lb (100 kg) bombs and two 550-lb (250-kg) bombs.